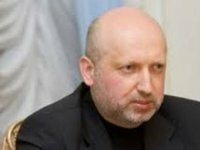 Ukraine needs serious rearmament, Secretary of the Ukrainian National Security and Defense Council (NSDC) Oleksandr Turchynov has said. He said that the shortage of advanced precision weaponry is one of the reasons why Ukraine has experienced grave losses. "The situation is that one of the top-priorities we set for our defense industry is the necessity of ending the use of Russian equipment," he said at a briefing in Kyiv on Wednesday, adding that the basis of Ukraine's military equipment is weaponry from the Soviet era. He said that this concerns multiple-launch rocket systems and aviation. "We should urgently resume [production] of the Ukrainian equivalent of these weapons, or fully switch to NATO standards," Turchynov said. He said that today Ukraine relies on its own equipment, as other countries have not provided military and technical aid. "The problem of military and technical aid is a problem we’ve faced early this year. Unfortunately, you know that as for lethal weapons, even a handgun, I don't speak about more serious things, were not delivered to our country," he said. Turchynov welcomed the approval of the bill supporting Ukraine by the U.S. Congress, and expressed hope that U.S. President Barack Obama will sign the document, so that Ukraine will begin systemic military and technical cooperation with the United States. Turchynov expressed hope that EU countries will cooperate too.